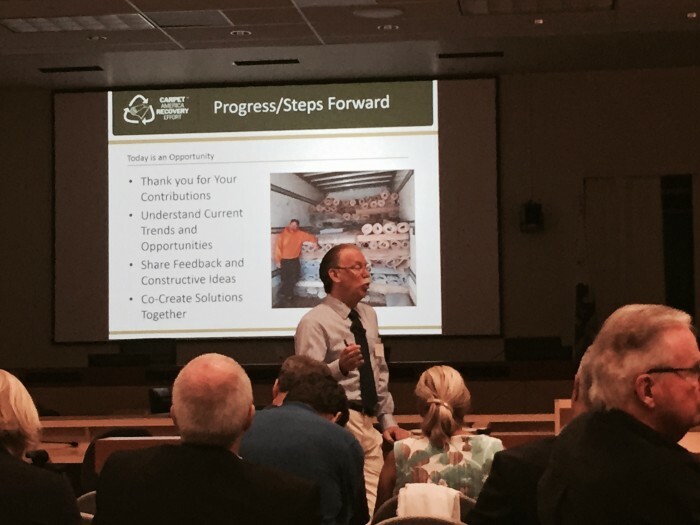 Representatives from industry and government concerned about the future of carpet recycling in California gathered for the second annual California Carpet Stewardship Program Stakeholder Workshops held in Lakewood (July 14) and Sacramento (July 15). 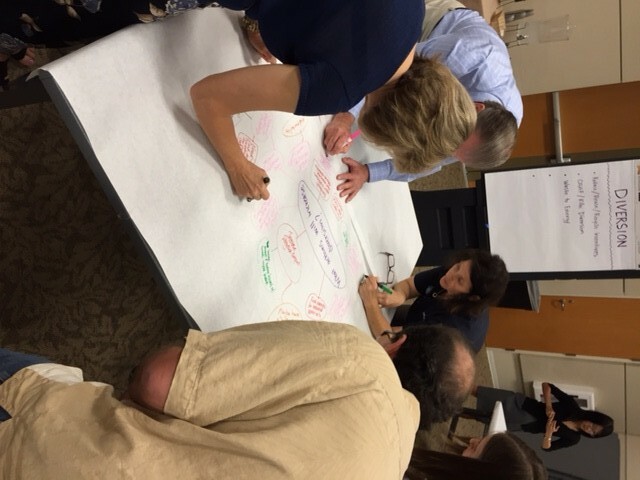 The five-hour workshops included presentations and facilitated group discussion to gather input and highlight opportunities for collection, market development and communication around the goal of increasing the diversion and recycling of carpet in the state. CARE Executive Director Bob Peoples kicked off the morning presentations with an overview of the state of the carpet recycling industry and some of the external challenges it faced in 2014, including the plunging price of oil, slower overseas demand for recycled carpet, and the West Coast port shutdown, which created a bottleneck for the movement of collected carpet and other commodities throughout the state. He also noted the highlights from the California program’s 2014 annual report (LINK), which showed that 123 million pounds of discarded carpet was collected in California in 2014, a 15% increase over 2013.. In 2014, the program recycled 12% of total estimated discarded carpet, equivalent to 43 million pounds of materials kept out of CA landfills. Given the program’s goal of 16% recycled output by 2016, these numbers framed the challenge for the rest of the day: how to increase carpet recycling by understanding the pinch points and opportunities inherent in the system. Peoples reported that the market challenges were not unique to carpet as all global recycled commodities were experiencing a decline in both pricing and demand due to the drop in oil. California Carpet Stewardship Program Manager Brennen Jensen then presented a map of the Carpet Stewardship ecosystem, highlighting the challenges and “leverage points” around elements such as carpet recyclability, collections, recycled output, diversion, market development and demand for post-consumer carpet products. Jensen also highlighted new actions taken by CARE in 2015 in response to current program trends, including new incentives, staff and communications resources. 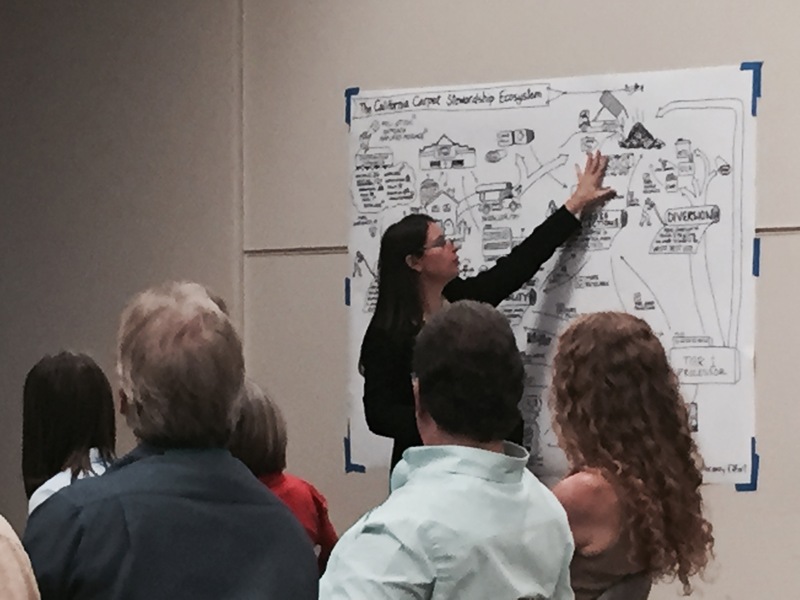 CalRecycle Senior Environmental Scientist Kathy Frevert gave an overview of sustainability and the pillars of product stewardship programs. She noted the particular challenges faced in carpet recycling, along with some grant and loan opportunities for carpet processors. 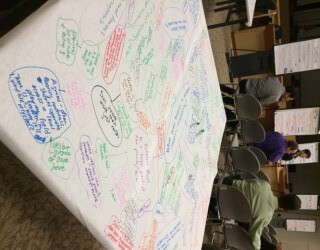 In the afternoon, participants engaged in a conversation mapping exercise, designed to uncover opportunities and barriers to more effective carpet diversion and recycling. 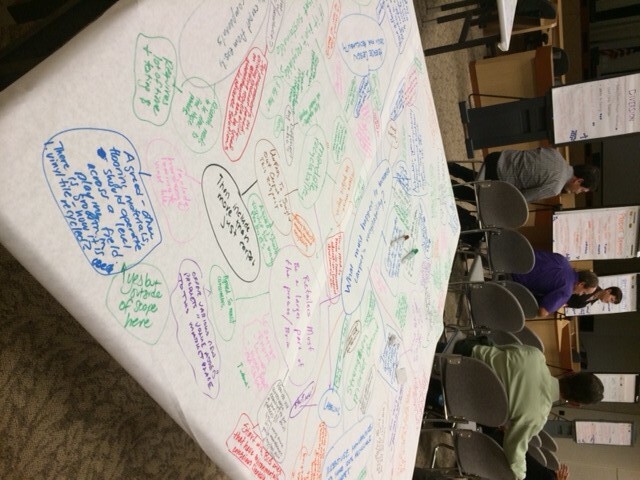 Participants held silent “discussions” followed by analysis of the responses; they then “voted” on the emergent action items that they felt would be the most helpful. These action items have been recorded and will be presented to the next meeting of CARE’s Sustainable Plan Committee (SPC), which oversees the California program. 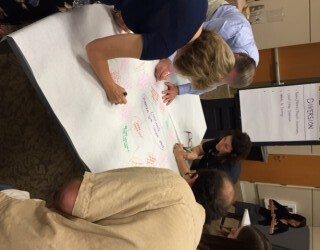 Future blog posts will track how some of the recommendations that emerged from the workshops are developed and put into action. Our thanks go to the City of Lakewood and to CalRecycle for their assistance, and to all the workshop participants for their invaluable time and expertise.